Diverting water from the Mississippi River will help rebuild deteriorating Gulf Coast marshlands, but not enough to outpace what is lost each year. There’s good news and bad news for the embattled Louisiana coastline in a new study from researchers at Tulane University. Grains of quartz in the mud of one of the major bayou systems south of New Orleans show that in the centuries before industrial development, sediment carried by the muddy Mississippi River added up to 8 square kilometers (3 square miles) of land a year to the river delta. That’s more evidence that plans to divert water from the now levee-bound Mississippi could help rebuild those Gulf Coast marshlands. The bad news is that growth would likely be far less than what those wetlands have been losing in recent years and are expected to continue losing as sea levels rise, geologist Elizabeth Chamberlain, the study’s lead author, told Seeker. “It’s likely the delta will continue to shrink even under the best restoration strategy,” Chamberlain said. 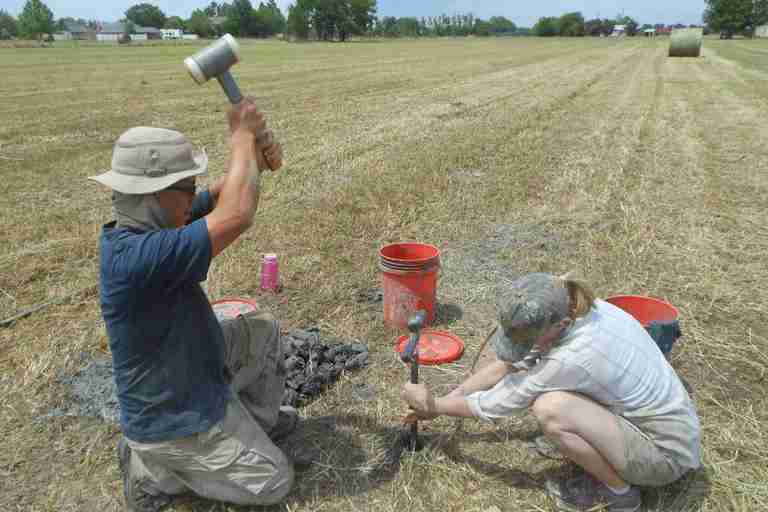 Chamberlain and her colleagues used quartz deposits in the Lafourche subdelta southwest of New Orleans to reconstruct how river sediment added to the land. Bayou Lafourche, the watershed’s main artery, was once one of the major channels of the Mississippi delta, she said. The technique they used is a relatively new method known as optically stimulated luminescence, which uses the glittering crystal structure of quartz to calculate how long particles have been buried. Buried grains of quartz absorb radiation from naturally occurring sources in the soil, releasing electrons that get trapped in the structure. When the quartz is unearthed and exposed to light, it gives off particles of light known as photons. That produces a signal that corresponds to how long the quartz has been buried, said Chamberlain, who specializes in sediments and dating techniques. Quartz dating of core samples taken from the Lafourche subdelta showed the sediments extended the land outward by between 100 and 150 meters a year for about 1,000 years. That adds up to between 6,000 to 8,000 square kilometers of ground on which several communities now sit. But today, the swamps south of New Orleans are sinking into the Gulf of Mexico at a rate of about 45 square kilometers a year — roughly a football field an hour. The levees that now contain the Mississippi keep the silt it carries from replenishing the land, while canals cut through the marshes for navigation and oil exploration have let in large amounts of salt water, killing the grasses that helped hold the soil in place. That combination of erosion, subsidence and now rising sea levels, driven by climate change, means coastal Louisiana is sinking on average about a third of an inch a year, according to another recent Tulane study. Between 1932 and 2010, more than 2,600 square kilometers (1,800 square miles) of southeastern Louisiana disappeared, according to the state Coastal Protection and Restoration Authority. That threatens an ecosystem that provides more than 1 billion pounds of seafood a year and helps absorb the wall of water whipped up when a hurricane strikes. It’s already forcing the relocation of at least one coastal community, Isle de Jean Charles, home of a native American band that has lived there for two centuries. 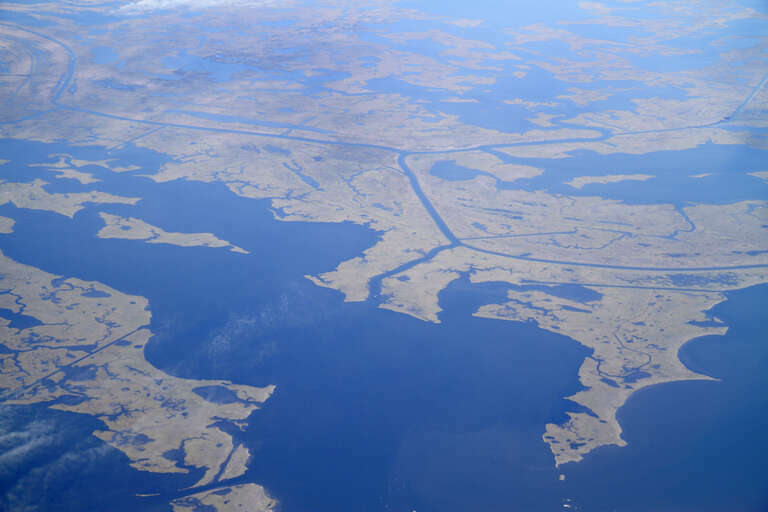 Louisiana has developed a $50 billion master plan for rebuilding the coast and beefing up its defenses, in part by letting a portion of the Mississippi’s sediment-rich water flow back into the wetlands. But fishing interests have criticized the plans, concerned that diverting fresh water from the Mississippi could damage seafood stocks like shrimp and oysters, which need salt water to survive. Scott Eustis, community science director for the New Orleans-based Gulf Restoration Network, told Seeker that sediment “is worth more than its weight in gold” on the coast — but the restoration plan isn’t likely to be enough as sea levels rise. While the new study shows the river is capable of building new land, the findings are “a bit of a downer,” said Chamberlain, who’s now at Vanderbilt University in Nashville, Tennessee.